Bilateral Investment Treaties (BITs) are agreements between two governments ostensibly designed to promote investment flows and protect international investors and their investments. There are more than 2,000 BITs globally and an increasing number of trade agreements contain investment protection chapters. They offer investors a range of protections, including against ‘unfair or inequitable treatment’ and ‘expropriation’. These protections are enforceable via a mechanism called ‘investor to state dispute settlement’ (ISDS) which allows companies to sue governments if a policy or its implementation negatively impacts the profitability of their investment. The UK is a major player in this landscape: it has more than 100 BITs, the fourth highest number globally, it is also a hub for law firms who act in the cases and a growing industry of third party funders who help claimants to cover the cost of the cases. BITs are heavily biased in favour of international investors, challenging governments' ability to decide policy in areas like health, energy, water and climate change . BITs offer foreign investors wide-ranging rights that go beyond anything that is offered either to domestic companies or citizens. The most dangerous provision is for companies to sue states for millions, often billions of dollars. We are calling for an end to this system. One of the claims made of BITs is that they contribute to generating increased investment. The argument is that they offer investors an increased level of certainty, encouraging them to invest more in countries that would otherwise be considered too risky, and thereby contribute to those countries’ economic development. However, a number of studies have found that early assessments demonstrating this were flawed, that there is little relationship between signing a treaty and attracting investment, and that other factors, such as the standard of infrastructure, availability of raw materials or size and proximity of target markets, are more important determinants. UNCTAD for example found that BITs have failed to deliver investment in critical sectors for sustainable development, such as water and sanitation, and are poorly designed to do so. UNCTAD also highlighted the role of BITs in preventing governments from adopting policy measures necessary for economic diversification and industrialisation. BITs offer foreign investors an additional layer of protection – on top of their commercial contracts – in respect of government action and policy that could affect their operations and profitability. These are exclusive rights, unparalleled in international public law, and not available to any other actor. They also impose no enforceable responsibilities on investors regarding their conduct in host countries, whether in terms of the economic contribution of their activities, or in terms of their human rights and environmental obligations. Fair and Equitable Treatment (FET) clauses: these require governments to treat investors ‘fairly’ and not upset their ‘legitimate expectations’. They have permitted investors to bring disputes against a wide range of government activities from changes in tariff charges in public utilities to withdrawal of tax exemptions and changes to the regulation of chemicals. Indirect expropriation clauses: such clauses provide for compensation where a regulatory measure is considered to harm, affect or interfere with an investment. This can cover a wide range of government actions and measures, ranging from taxation to environmental regulation. Capital control clauses: many BITs contain clauses requiring governments to allow unrestricted movement of payments and capital by investors, with very few exceptions. This can make it difficult for countries to ensure economic stability and manage financial crises. IIAs may make it difficult for countries to achieve essential public policy objectives, including their development goals and the maintenance of environmental, human rights and labour rights standards. The majority of BITs contain an ISDS clause which allow investors to challenge governments at private international tribunals if they feel a government has acted in breach of a treaty. The basic premise of ISDS is that governments, and therefore taxpayers, should mitigate the business risk of multinational companies (MNCs) – in effect offering a subsidy for particular kinds of MNCs. Signing BITs therefore exposes countries to the threat of expensive legal disputes. 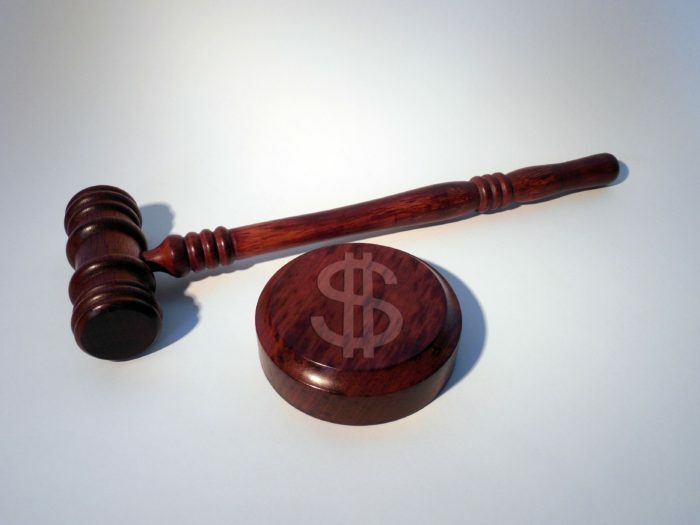 Average costs for defending a case are US$8 million and large awards are not uncommon. The largest known award was for US$50 billion, against Russia, followed by a US$1.77 billion ruling against Ecuador. The number of cases has grown exponentially in recent years: the World Bank Group’s International Centre for the Settlement of Investment Disputes (ICSID) (the only centre to have a track record of publishing cases) records that at the end of 1994 only three investment treaty disputes had been submitted, by the end of 2015, that number had grown to 696. There are many more cases that are not in the public domain, heard at centres such as the London Court for International Arbitration and the International Chambers of Commerce in Paris, amongst others. There is growing evidence that the fear of facing a case can deter governments from taking legitimate public policy decisions. The problems with the existing UK investment protection regime clearly point to the urgent need for a review. This need is particularly pressing in light of the EU referendum vote: the UK already has competence for its own investment policy but there are plans to negotiates dozens of new trade agreements that may include investment protection provisions. It is hugely important that the UK has a modern policy that is in line with its other international commitments. Since the majority of UK BITs have reached their anytime termination phase, there is now ample opportunity undertake such a review. Developments at an international level demonstrate that there is appetite to rethink the approach to investment protection, including amongst key trading partners such as the EU, US and Canada. Countries are pursuing a number of alternatives to the current regime, ranging from reform of their existing models to restrict the scope of investment protections and eliminate the most problematic provisions through to canceling existing BITs and developing new approaches that balance investment protection with governments’ right to regulate. Replacing investor-to-state dispute settlement (ISDS) with state-to-state dispute settlement. Legally binding mechanisms of redress for communities who have been negatively impacted by the activities of investors. The review should also address the issues with the arbitration system and seek to regulate third party funding. TJM are working with partner organizations and MPs to ensure a review happens.